Toilet training is the normal process experienced by every child. Willingness to go to the toilet does not happen automatically in line with the increasing age of the child. Starting for toilet training is depending on the physical and emotional factors of the child. Toilet training is one of the activities that have to be passed by all the children in order to promote the child to be independence in basic activities daily living. It also helps the children to learn to be in clean and dry conditions. It is important for the development of the children so that they are always in comfortable situation. The normal children can be in a clean and dry at the age of 2 to 2 ½ years old, if been providing with the training. But if the child not given any training or get a bit of practice they may be kept in a dry and clean approximately at 4 years old. However, children with disabilities also need help for training in order for them to be independence. The way in providing training to the disability children is different from the normal children. It requires patience and need to take a long time for training. Support and encouragement importance for them to be independent. Why children not able to go to the toilet? Delayed mental development and having physical problems. Parents / guardians do not provide any necessary requirements and not providing necessary training for the child. Children not able to control their bladder. Not listening and following the instructions given. To identify the frequency and the time for the child usually pass urine. Parents / guardians can make a table to record the frequency. This is important to know the time taken by the child to pass urine. Record the frequency in the form of a table. Usually a normal child begins to prepare at the age of 2 to 2 ½ years old but for some children who experienced delay development, they began to prepare at the age of 3 or 4 years or more. Does the child stay dry at every hour. Does the child know about the need to pass urine (see the face, both legs of children). Does a child pass a lot of urine at a time without a trickle / drip at all times. If a child can control 3 things above or at least 2, it is enough to control the bladder and able to start toilet training. To see a child understands and can give cooperation, give a simple instruction to children such as lying down, standing up, put the toy in the box and also asked the children to clap hand. If a child can do this willingly, it showed he / she was mentally prepared to do the toilet training. Can the children take the small objects with easy. Can the children walk/ move by him/ herself. Can the children squat or sit on a bench / seat and whether they can balance themselves. For children who still wear diapers, they will ask for change if uncomfortable. Start showing interest in wearing underwear instead of diapers. Want to be alone when he or she passes the stool. If the child is able to do as above, this means that they have can be trained to go to the toilet but still need help physically and emotionally. Ensure the time usually for the child urinates for example after a meal. After the time is being identified, train the child to the toilet or put a child on the potty. Encourage commonly used words such pee or poo. Leave the child on the potty not more than 10 minutes to pass urine. Place the potty in the right position if the child is having trouble balancing themselves. Reward the child after he/she success in pass urine by clap hand, kisses her/ him, or others. If your child cannot do just let it. Do not punish or criticize the child during potty training. Explain to the children that play with the stool is not good. Teach the children to clean it and wash your hands and your child with soap. Teach children to use the flush to facilitate the children’s to use it. Teach children to wash their hands with soap after using the potty for example by washing your own hands. Parent is encouraged to give their children clothes (pants) which are easy to be removed / loosened. Simple purpose of removing the child / loosen clothing (pants) when they want to go to the toilet. If your child cannot do (difficult to perform tasks), the parent / guardian cannot perform the task but should help them to do along the way. So the child is able to learn how to perform the task with their own. If the child is difficult to remove clothes (pants) down, use clothes (pants) which are easy to be loosen such as elastic pants, shorts using velcro. Avoid using pants with buttoned and belted. Physical disabilities – modified the toilet and use aids and adaptation to enable them independent using the toilet with their physical condition. They need support from the parent for them to learn new skills to go to toilet. 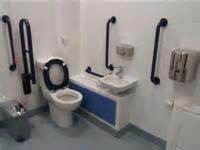 Visual Impairment – Let them explore the toilet .Put them on the toilet and put the child hand on your shoulder while you are moving and give encouragement to the children to touch the equipment used in the toilet. Explain what you are doing. Allow the child to be independent and using musical toilet help the learning process fun. 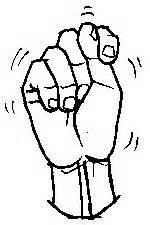 Hearing impairment – use sign language that can be understood so that they can use it to go to the toilet. Use the book to teach the need to toilet. Bladder incontinence -train the child to use the toilet with frequent schedule, such as every hour to go to the toilet although wants to pass urine or not. Behavior problem – show pictures of the toilet or the child sit on the toilet to pass urine. Teach to tell, at least mention the toilet or pointing at the toilet / toilet pictures / etc.